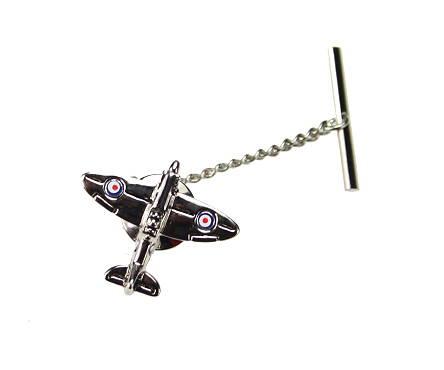 A spitfire tie pin with silver coloured fitments. Boxed. A nice pair of rhodium spitfire cufflinks. These are very popular with our ex servicemen. Boxed. Available in Navy. Other aircraft designs available in our Novelty Ties Department. A neat Spitfire aircraft money clip for holding bank notes or paperwork etc with silver plated finish in a smart gift box.